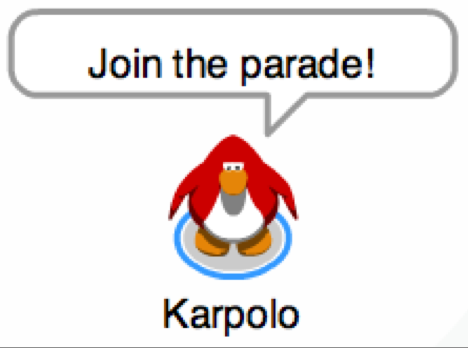 Just a little reminder, the red parade is today, I hope to see you there! 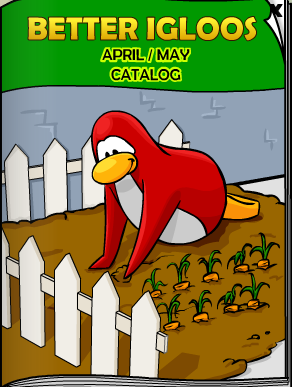 just incase you forgot when it is, it starts today at 4:00 PST (penguin standard time) at the dance lounge on the server Great White. That’s all for now! See ya on the flip-side! 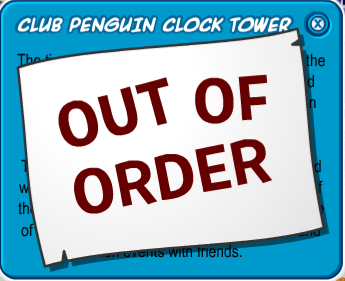 The Club Penguin clock has broke down! Well actually, it hasn’t exactly broke down, perhaps even the exact opposite. It’s going really fast and the years are now turning in to minutes! 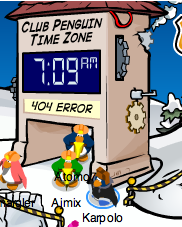 My guess why the clock broke is that not enough people are throwing snowballs at it. 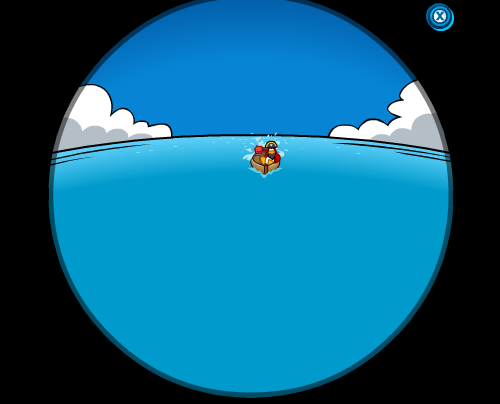 First Rockhopper crashes his ship and know this! Anyways here are some pics on the whacked clock. 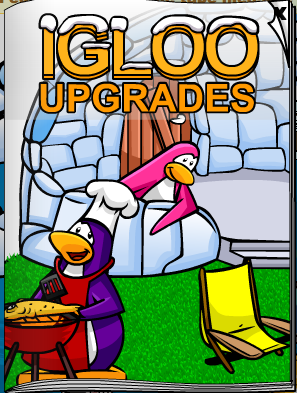 There is however some good news, Rockhopper is coming back! 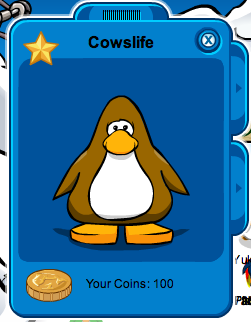 I spotted him in the telescope!